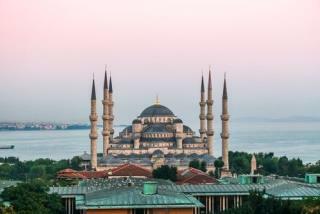 (Newser) – Turkey this month put new building rules into effect that outlaw studio apartments. The government swears it's to cut down on people illegally renting them out to tourists, but Vocative reports that critics see a thinly disguised ulterior motive: Leaders want to discourage people from living alone and instead get married. "It looks like they’re trying to force marriage on us," says one 25-year-old woman quoted in the piece. Maybe this will result in more people living together - as roommates or in good old proverbial sin - to be able to afford the more expensive bigger apartments! This is ultra secular (atheist) Turkish elite who have lost the limelight, grasping at straws to ridicule the EXTREMELY successful AKP government run by the so called "islamist" Erdogan. The fact is that Turkey with it's 80 million population does get close to 40 million tourists (#6 worldwide) annually and tourism is a big business, so the hotel owners do what they can to cut down on illegal/unfair competition. Nothing more, nothing less. Yet, I see nothing wrong with encouraging people to get married and have families instead of encouraging them to trash themselves and end up like most older singles in the west: Old, lonely, living with a cat with no family members within 1000 miles. If God wanted us to eat, poop, waste oxygen and then die, he would've told us so. Saving studio aoartments for single cattle?